The booming Permian Basin, which is already on target to hit record-setting output this year, could double crude oil production in the next 5 years, according to a new IHS Markit report. By 2023, IHS predicts crude oil production in the Permian Basin to hit 5.4 million barrels per day. 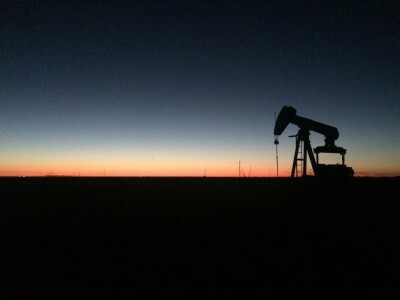 The robust production level would make the region — which composes stretches of West Texas and New Mexico — the third largest crude producer, behind Saudi Arabia and Russia. “In the past 24 months, production from just this one region—the Permian—has grown far more than any other entire country in world,” said Daniel Yergin, IHS Markit vice chairman, in a press release. The report says the “stunning level of growth” would make up more than 60 percent of crude production across the globe during that time. That growth would be driven by 41,000 new wells in the area. Researchers also expect the production of natural gas and natural gas liquids in the Permian to double. But, Raoul Le Blanc, one of the authors of the report, says the projected growth is not a guarantee. “The Permian has some growing problems this year,” says Le Blanc, who points to infracture concerns as the biggest hurdle oil producers face now and in the coming years. Without the pipeline infrastructure, Le Blanc says some companies are having to pay truckers to haul their crude to the Houston and Beaumont areas, where it’s increasingly exported. There are new pipeline projects currently planned, but IHS says the bulk of them aren’t expected until next year. “Adding this takeaway capacity (including more gas pipelines) is key to the Permian realizing its growth potential…” reads the IHS report. Twenty years ago, Le Blanc says, no one would’ve guessed the Permian’s resurgence. But horizontal fracturing and new techniques have opened turned the region into what is now the U.S.’s largest shale play. This entry was posted in KRTS News, KXWT News and tagged IHS Markit, Permian Basin, Production. Bookmark the permalink.